Lazada and Siam Commercial Bank jointly launched a new digital lending platform to serve Lazada’s sellers. 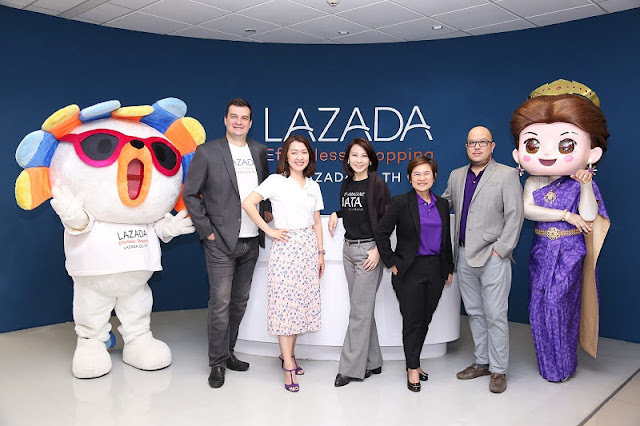 This project leverages Artificial Intelligence (AI) technology powered by SCB Abacus, to enable instant credit approval on Lazada platform. Sellers can apply for online loans without additional paperwork. This collaboration will be Thailand’s first lending service on an e-commerce platform to help online SMEs expand their business. The partnership announcement was represented by Dr. Sutapa Amornvivat, Chief Executive Officer, SCB Abacus, Miss Chunpen Vitchichunthakhron, EVP, SME Ecosystem and Business Solution Division, Mr. Rungsan Ongsaranakom, EVP, Client Coverage 4.1, Siam Commercial Bank and Mr. Bertrand Peyrat, Chief Commercial Officer, Lazada Thailand and Miss Thanida Suiwatana, Chief Marketing Officer, Lazada Thailand.